Does your dog drive you crazy with problem behavior? Perhaps he’s jumping on your guests or begging at the table — issues you can tackle with a skilled trainer. But maybe things are more serious, and you’re not sure where to turn. It might be time to hire a behavior consultant or animal behaviorist. These professionals work with clients to help manage, modify, and prevent problem behavior in pets. They’re specially trained experts in the principles of animal behavior and animal learning with a set of science-backed tools, such as behavior modification. They will help identify the cause of your dog’s problem behavior and then create a customized treatment plan, teach you how to carry it out successfully, and follow-up to help with any headaches you may be experiencing along the way. Similar to professional dog training, the field of animal behavior is unregulated, and, unfortunately, anyone can call herself a behaviorist, regardless of her training, ability, or background. It’s important to look for professionals with the proper education and experience. Consider people who are certified with a respected organization. In addition, there are levels of expertise in the field, from trainers who work with dogs with behavior issues, to behavior consultants, to certified applied animal behaviorists and board-certified veterinary behaviorists. 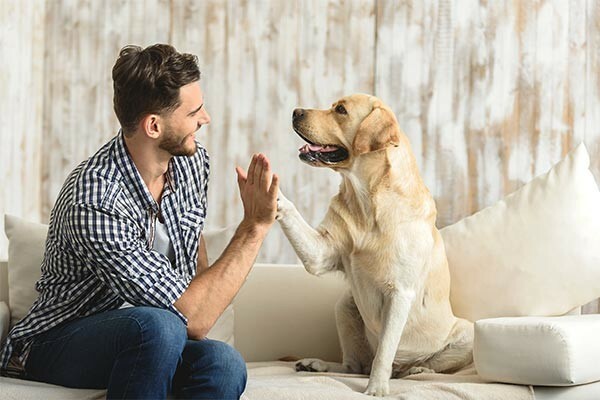 The Certification Council for Professional Dog Trainers (CCPDT) and the International Association of Animal Behavior Consultants (IAABC) are two professional organizations that certify behavioral consultants who specialize in dogs. Certification helps ensure that the person you’re hiring has the key skills and knowledge, and both the CCPDT and the IAABC require their behavior consultants to recertify every three years so that they’re up-to-date on the latest research and methods. The only people officially titled “animal behaviorists” are those certified by the Animal Behavior Society (ABS). The ABS offers two levels of certification. Associate Certified Applied Animal Behaviorists have a Master’s Degree in a biological or behavioral science and at least two years of professional experience in the field. Certified Applied Animal Behaviorists have a doctorate in biological or behavioral science with five years of professional experience in the field. The training for both levels involves supervised hands-on experience with animals, and research with those animals resulting in publication in scientific journals. Some applied animal behaviorists specialize in pet dogs and cats, whereas others work with animals on a farm, in the wild, or in zoos. Many applicants intern with a Certified Applied Animal Behaviorist before setting up their own practice. After finishing their veterinary degree, veterinarians can also specialize in behavior by completing a two-year residency under a board-certified veterinary behaviorist and passing a board exam. For veterinary behaviorists to also qualify for the Certified Applied Animal Behaviorist designation, they must then complete three more years in the field. The benefit of veterinary behaviorists is that they can use all the tools and techniques of other behaviorists and can also prescribe medication for problems that require it. Veterinarians and behaviorists work closely together. In fact, it’s important to consult your veterinarian whenever your dog shows changes in behavior. For example, if your dog begins to growl when touched or stops responding to cues like “sit,” medical conditions such as arthritis or hearing loss could be at the root of the problem. Any underlying health issue that causes pain can also lead to behavior and personality changes. If your vet rules out an underlying medical condition, then you might want to discuss consulting an animal behaviorist. Researching your chosen breed before you get a dog will help ensure you find the right match. For example, high-energy dogs are best suited to active people. If you’re educated about the right breed for your lifestyle, you are less likely to be surprised or disappointed in your dog’s behavior. Whether you work with a behavior consultant, applied animal behaviorist, or veterinary behaviorist, you should be able to rely on his or her vast knowledge and education to help determine what’s to blame for your dog’s problem behavior. With the right treatment, such as training, environmental management, or counterconditioning, the end goal is a happier, calmer, better-behaved dog — and a contented owner.